Are you a praying grandparent who believes in the power of prayer on behalf of your grandchildren? It is a global reality that truth is under attack like never before in our schools, our political arenas, the marketplace, and even in our churches. Christianity is under assault, and parents and grandparents find themselves involved in a tug of war for the hearts and minds of their children. It is not easy for our grandchildren to navigate in this post-Christian culture. Satan is relentless in his aggressive attack to desensitize our children to truth and righteousness. This is a spiritual battle requiring spiritual weapons. Our grandchildren and their parents not only need our support, they need our earnest prayers. They need our united prayer, a genuine, unified prayer for our hope and dreams for the next generation to be realized. Jesus declared, “Again I say to you, that if two believers on earth agree [that is, are of one mind, in harmony] about anything that they ask [within the will of God], it will be done for them by My Father in heaven. For where two or three are gathered in My name [meeting together as My followers], I am there among them” (Matt. 18:19-20). 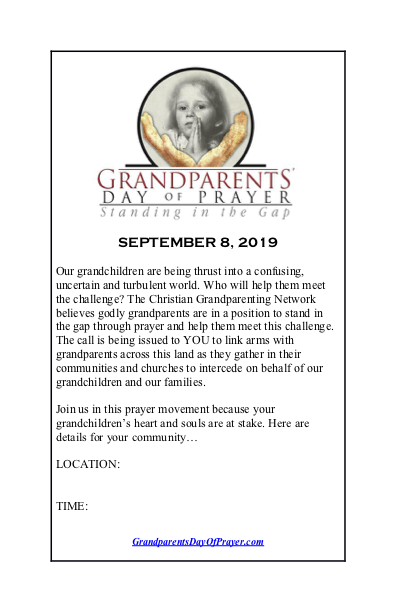 Christian Grandparenting Network (CGN) is claiming National Grandparents’ Day on September 8, 2019 as a Grandparents’ Day of Prayer. We believe the battle for the hearts and minds of our dear grandchildren and their parents can be won only by praying grandparents who sense the urgency and unite to do battle in prayer. You can get involved in one of two ways. You can commit to 30 days of prayer on behalf of your grandchildren, or you can volunteer to organize and host a GDOP event. Scroll down the page for details. Will you join us in prayer? It is urgent we stand in the gap to pray for the spiritual, emotional, and physical protection of our grandchildren and their parents, so they do not become victims of our culture. We specifically ask you to pray on Grandparents’ Day of Prayer, but everyday it is important to cover them with God’s grace. 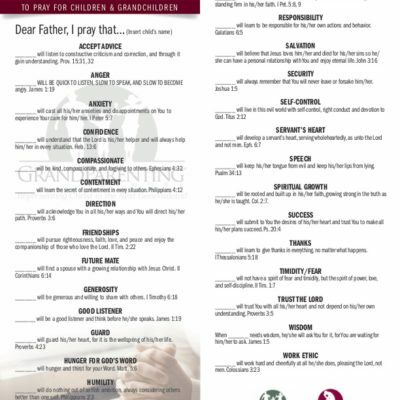 We are offering the 30-Day Prayer Challenge for you to use any time to enrich your prayer time for your grandchildren. COMMIT to praying for their grandchildren for 30 consecutive days. 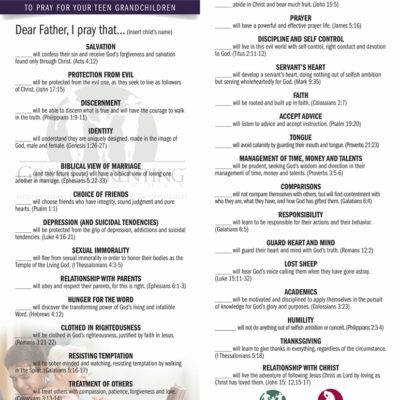 ENGAGE in purposeful, intentional, and specific prayers for their grandchildren. RECEIVE SUPPORT and ENCOURAGEMENT from others as they make an immense investment into the lives of their grandchildren. When does the 30–Day Challenge take place? The challenge can be taken at any time that fits your schedule. Additionally, a corporate version is run annually through our corresponding Facebook group during the 30 days leading up to Grandparents’ Day of Prayer. Will you help us call grandparents to join in prayer? A Grandparents’ Day of Prayer event could be in your church, home, a retirement complex, or any meeting location you choose. CGN will provide step-by-step guidelines, resources, and online tools to help you create a successful event that will engage grandparents in prayer for your event. Thank you for your interest in becoming a volunteer for the National Grandparents’ Day of Prayer (GDOP) Leadership Team. You are joining an amazing team of dedicated and passionate volunteers who care deeply about the hearts, souls, and minds of their grandchildren and all children. They believe that prayer is their most effective weapon for fighting for their families, and are committed to calling other grandparents to join this prayer movement to stand in the gap on behalf of grandchildren everywhere. To get started, click on the Step Two tab above to learn more about the responsibilities involved in being a GDOP volunteer. Once you’ve got a good understanding of what’s involved and are ready to go, click on Step Three to complete your volunteer application information. Even if you’ve served as a volunteer previously, we would appreciate your filling out this form. Resources to help you organize your event are in Step Four. We look forward to connecting with you in this grand opportunity to link grandparents in prayer for the sake of our next generations. GDOP volunteers are dedicated followers of Christ who serve as prayer intercessors on behalf of the next generations. They are part of a team of prayer intercessors across the nation and around the world that are united in their resolve to stand in the gap for their children and grandchildren through prayer. Should you choose to be one of our volunteers, you will be expected to take the leadership in organizing a prayer event in your church or community. 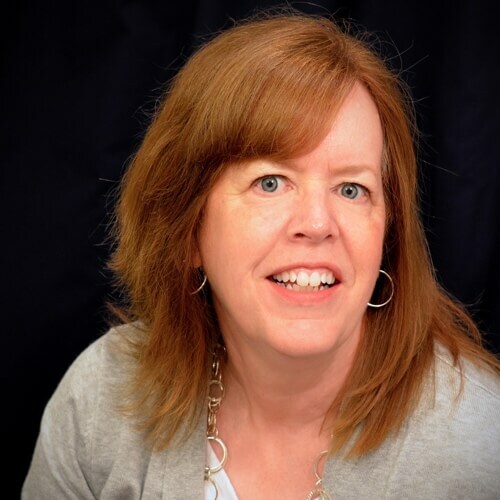 While you have a great deal of latitude in how that may look, CGN has created this step-by-step guide to help you organize a successful event and to give you tools and resources to assist you in the process. This is a very simple event, but you can do much more if you desire. We only ask that prayer be the primary focus of all that you do. It is important to not lose sight of this being a prayer event, not a social event! Sit down with your pastor and/or appropriate church leaders to tell them about this event and to enlist their support to promote it in your church. Recruit and organize a team of volunteers to help you plan the event and to enlist continual prayer support for your team as they prepare. Decide on a time and a location. 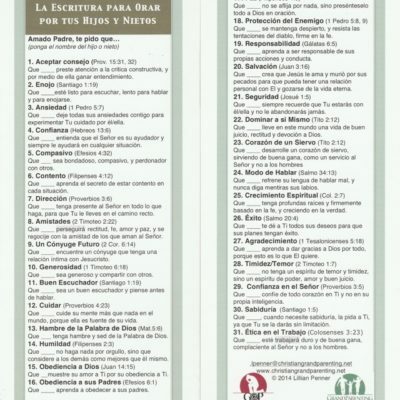 Provide necessary promotional materials to use in your church or community. Consider the best way to connect with the grandparents God wants you to invite to your Grandparents Prayer event. Send or distribute personal invitations to as many individuals in your church or community as possible. If you are interested in becoming a Grandparent’s Day of Prayer volunteer, give us your information on this form. You’ll be subscribed to our volunteer list and receive regular information from us. We don’t require your physical address, but if you’d include at least your city and state, we’d appreciate the information. Click the links below to review our statements before filling out the application. Make sure you arrange with your pastor or church leaders to host an event and promote it. Watch for additional emails that will give you suggestions and helps for organizing an event. 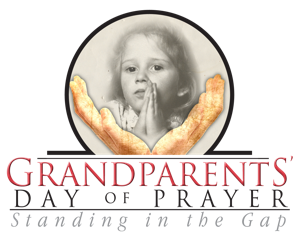 Invite a few grandparents to pray with you regularly between now and the GDOP event in September. Download any materials from our web site you will need to promote the event. 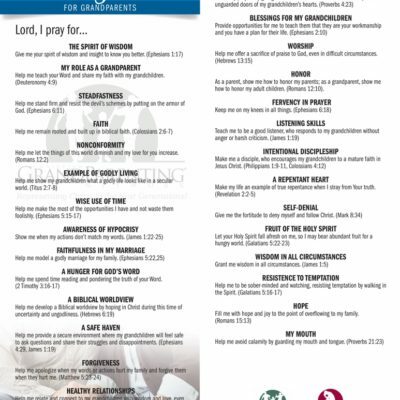 Order the quantity of Grandparents’ Day of Prayer promotional cards you will need to distribute to classes and groups or insert in your church bulletin (link). Introduce guests to each other. Share testimony of a younger person about how their grandparents influenced them spiritually. Play short video clip from Executive Director and National Prayer Coordinator. If in a large group, divide into smaller groups. 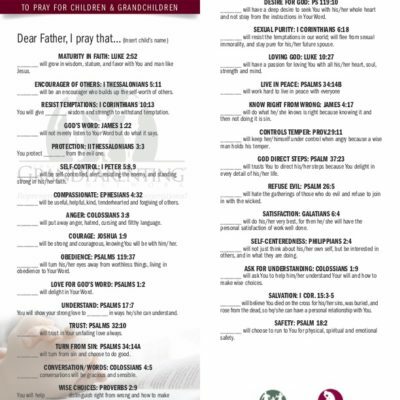 Handout suggestions to pray from the free downloads on website, if desired. Ask grandparents if they would like to meet on a regular basis to pray for their families (monthly, biweekly or weekly). Get sign up commitments. This is a Word document formatted for 5.5″ x 8.5″. 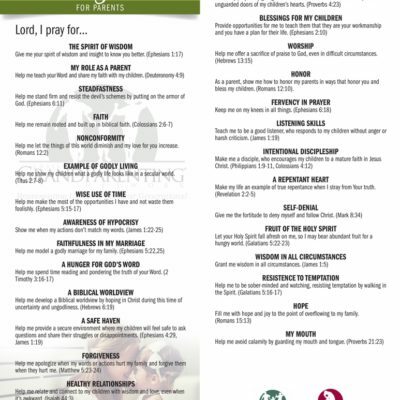 You can Edit this document to insert the time and place your group or church plans to meet for prayer. 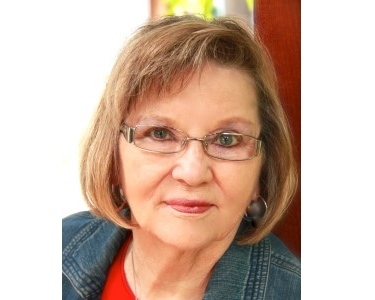 Speaker and award-winning author of 17 books, including Woman to Woman Mentoring Resources and Praying for Your Prodigal Daughter. Grandparents of every nationality, ethnicity and economy demonstrate their love for their grandchildren by showing everyone they meet a slew of photos, taking the kids out for ice cream, and buying them untold unnecessary presents. With one exception. Grandparents who know Christ also pray for their grandchildren.